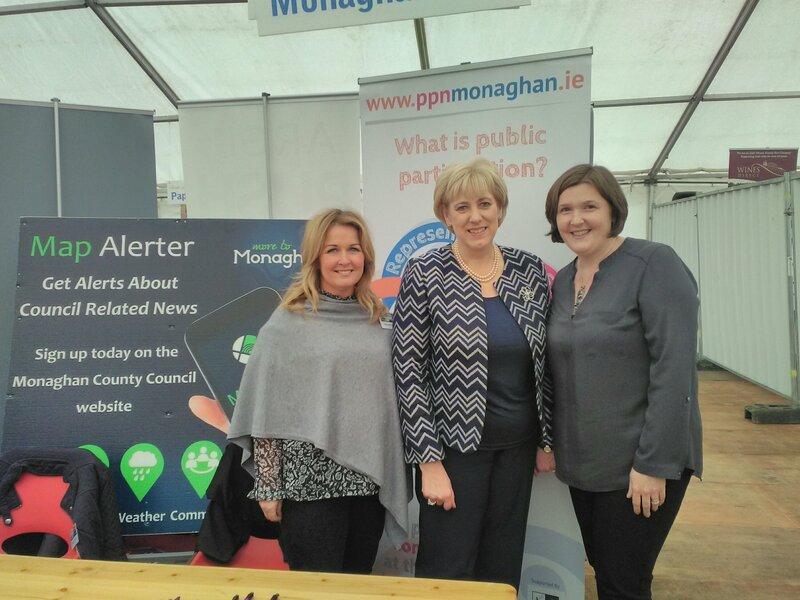 Leona Keenan PPN Resource Worker & Janice McAnenly IT dept Monaghan County Council were delighted to meet Minister Heather Humphreys at the PPN stand at Taste of Monaghan festival. Leona is telling everybody about the work of Monaghan PPN & Janice is spreading the word about Monaghan County Council latest initiatives Map Alerter Scheme. This scheme keeps people in Monaghan informed about service disruption in their area.